Equalizers, also known as EQ’s, are used to adjust the frequency response of a sound system. They are most commonly used to adjust the overall tone of the sound system, and with monitors to reduce feedback. Single Chnl 31-Band, 1/3 Oct.
Dual Chnl 15-Band, 2/3 Oct. Looking for a Digital Console? You're in the right place if you have questions about what digital console is right for you. 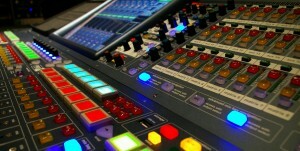 We've been mixing on digital for 20 years and have used all the major manufacturers. Give us a call and we'll help you decide what console meets your specific needs.